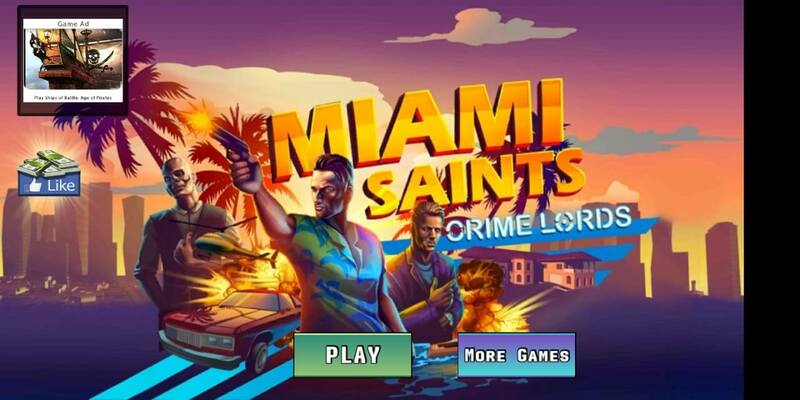 Miami Saints Crime Lords android is a latest entry in crime games with immersive animations. And, it is the best part of the game as well. 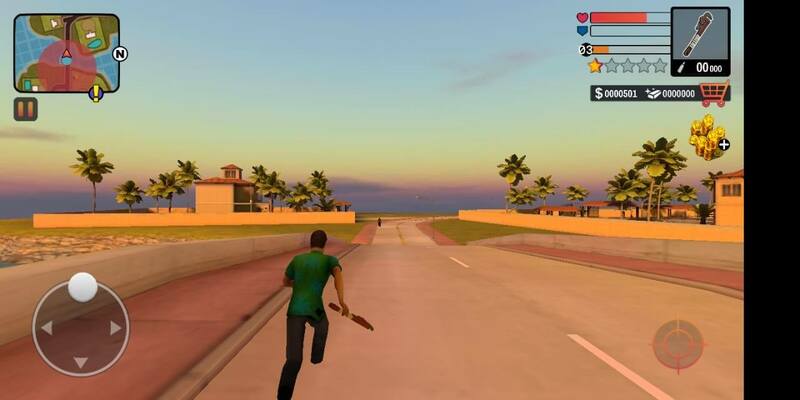 This open world crime game for android features the main player which is very akin to Tommy from vice city. 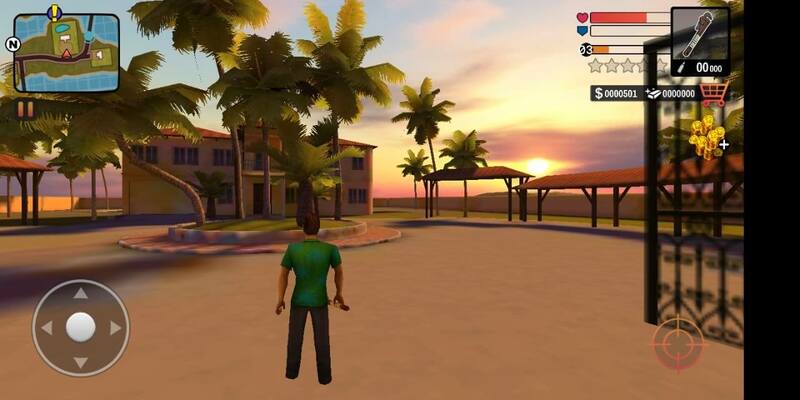 Like the Miami Crime Simulator 2, this android game is also based on real life vice city counterparts. 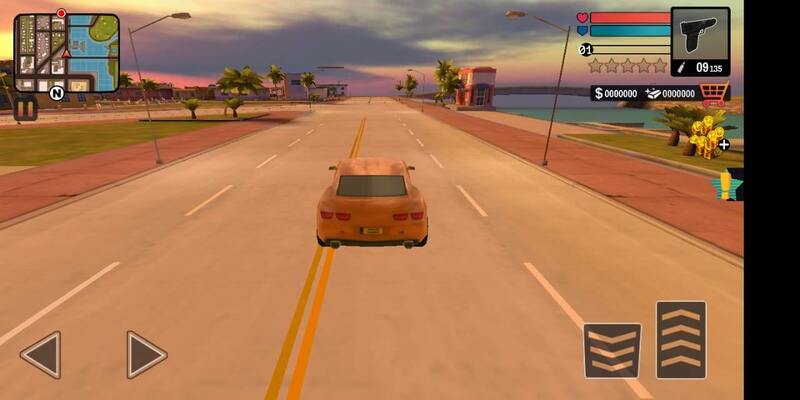 In this game version of Miami city, you are free to explore the open world urban streets, docks, roads with extreme vehicles and can take part in missions. Miami Saints Crime Lord is set in Miami 1982 but it comes with modern day cars. Car models looks good also the environment match with Miami atmosphere. The building, houses, tree, and road models and textures both looks high definition in this open world android game. 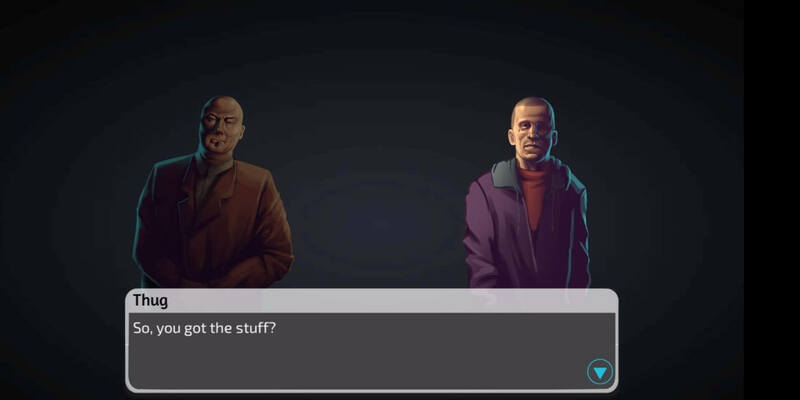 Talking about the mission, this android open world game allow you to play some storyline mission and side mission to earn money. To visualize a mission they use visual novel like mechanism. The other way to make money is rolling over peds. And they drops a lot of money as well. In order to enter in mission find a blip on minimap. Most of the mission are nearby you when you spawn after competing mission. 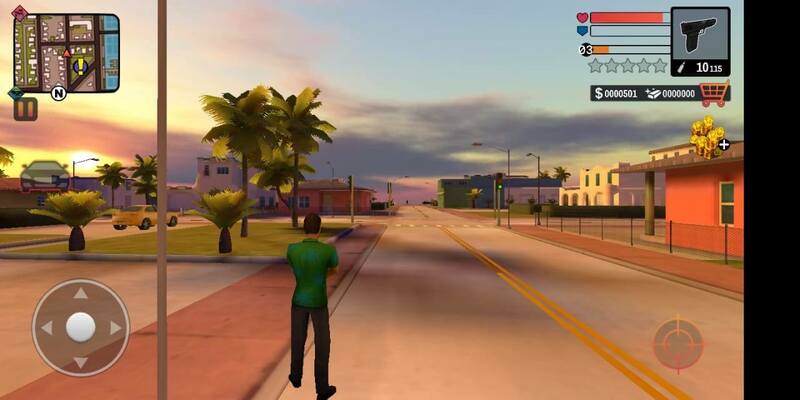 The Minimap in Miami saints crime lord android does not expand. The game does not has GPS checkpoint or view point. But, the mini map blips make you follow the mission path easily. The game should add an expandable map. The map also has one separate island which can be traveled through bridge. Vehicles are acquirable only when they are parked. You can not jack a driven cars. There is a glitch in this game which let them traverse cars to ride over each other and make it overlapped. Also, I made a twitter post about glitches on this game check them out. Also, to make your ride enjoyable the game play a rock tone radio station.